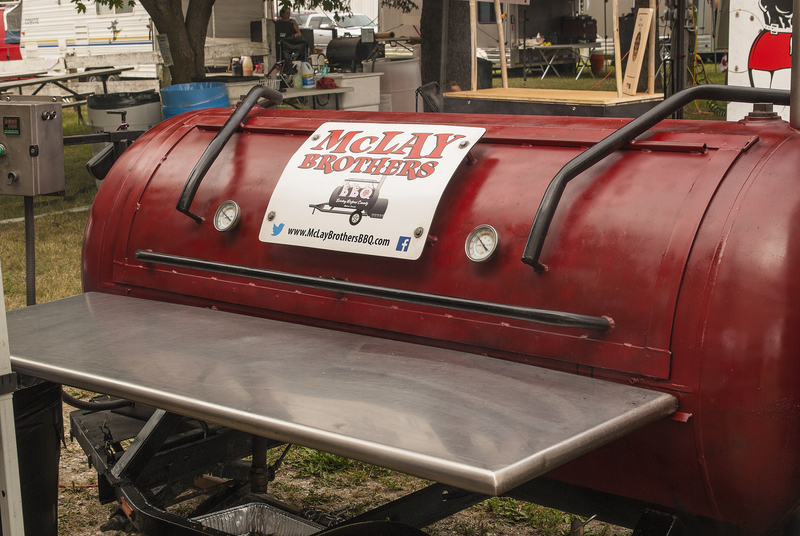 Welcome to the official site for McLay Brothers BBQ made up of two close-knit brothers Flint and Randy McLay. We have been BBQing for over 25 years for small and large BBQ parties. In addition, we also compete in Pro BBQ contests in Canada and the United States. BBQ is our passion that borders on an addiction. We constantly strive to improve our techniques and flavors. We make our own rubs and sauces and also most of our BBQ’s, smokers and equipment. We practise a southern style slow smoked approach to food but also grill and deep fry. Some of the items we cook include chicken, ribs, pulled pork, beef brisket and a lot of whole pigs for pig roasts. We have won an accolade of awards and prizes and have met hundreds of nice, friendly and outgoing people along the way. It seems almost everyone loves BBQ and enjoys discussing it over a cold beverage. If you are interested in BBQing and smoking please feel free to take a tour of our site.